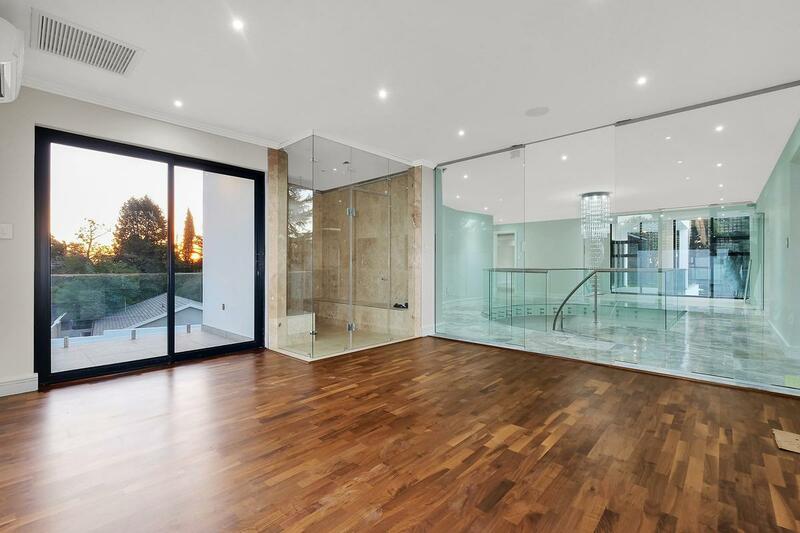 This striking contemporary home is located in the Sandhurst area of Johannesburg, South Africa. 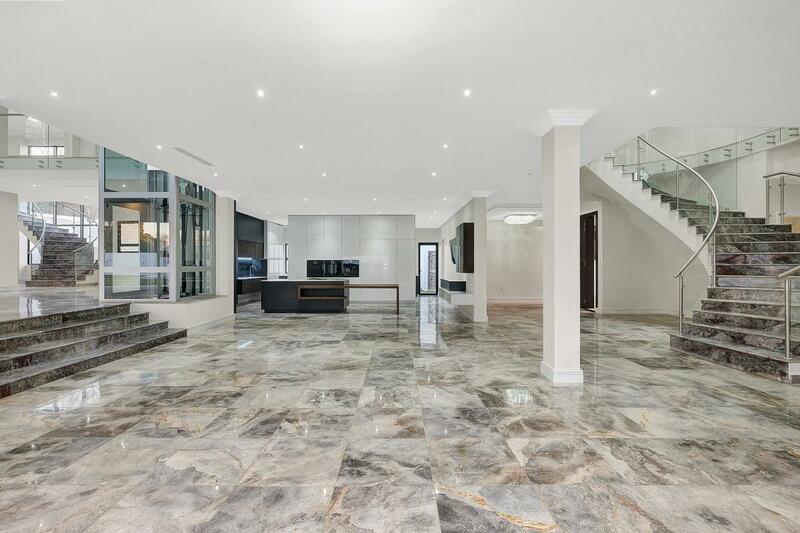 The newly completed house boasts exceptional finishes, an excellent flow and allows for sophisticated entertaining on a grand scale. 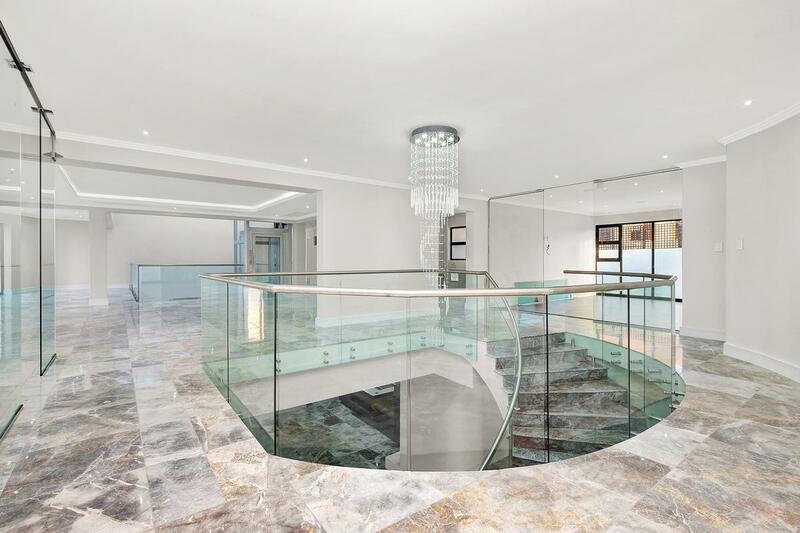 The home as a lovely Italian glass elevator and double marble staircases. 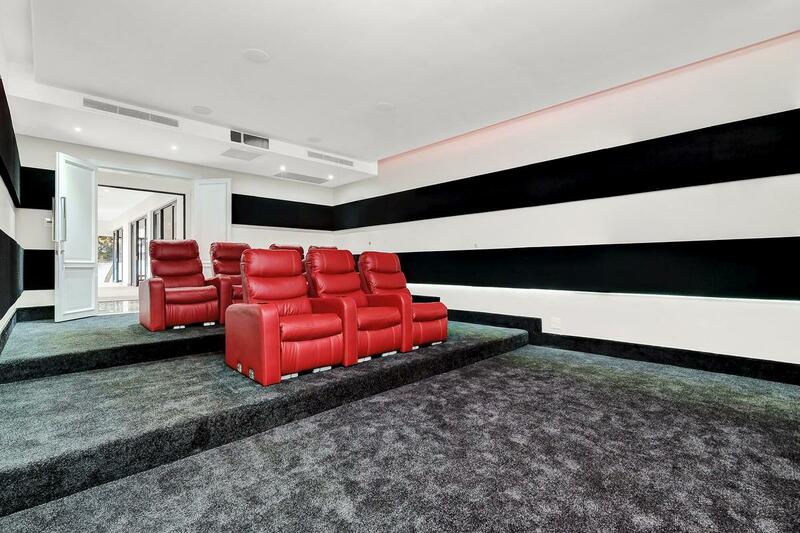 The entrance spills to vast open rooms including an eight-seater cinema room with top-end projector. The gourmet main kitchen has a central island, integrated Gaggenau appliances, cold room with Liebherr freezer and connoisseur’s wine storage. There is a separate private kitchen with Gaggenau appliances. The home has an independent, private office suite complete with two boardrooms and walnut parquet flooring. Upstairs there are five bedroom suites of indulgent proportions including a luxurious master bedroom suite with private lounge. 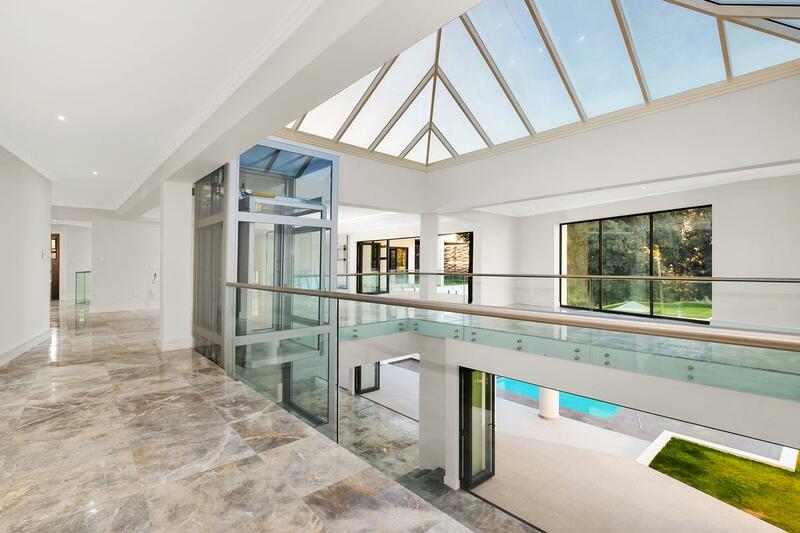 The home’s expansive exterior space includes a wrap-around veranda, pool and entertainment complex. 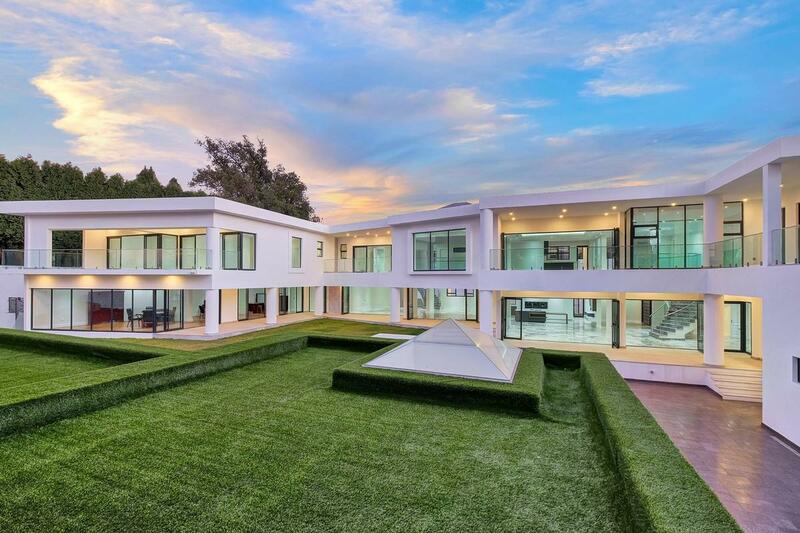 This property is listed for 39.75 million Rand ($3.025 million) with Jawitz Properties, an affiliate of Luxury Portfolio International.